Tiny Apulit Island is largely uninhabited, and there are no bars, shops or restaurants here -- just dramatic limestone cliffs and crystal-clear waters teeming with fish. 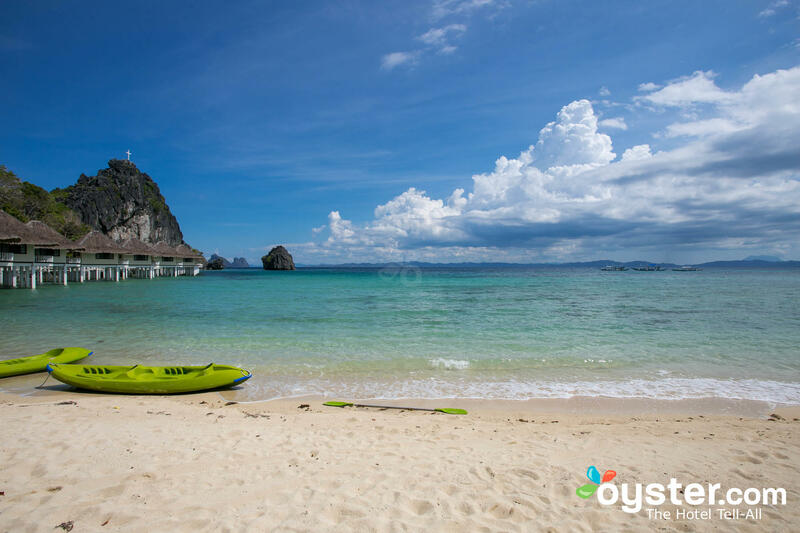 Aside from El Nido's gorgeous beach, there is another wild stretch of powdery sand a short distance away where guests can swim and sunbathe virtually on their own. 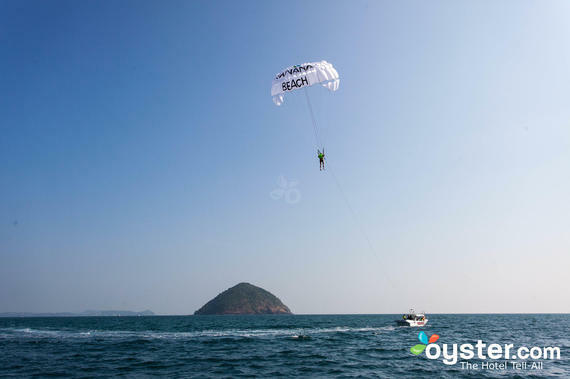 Rappelling, climbing, snorkeling and sea kayaking can be arranged at the hotel, and the on-site PADI center offers scuba diving day trips to coral reefs and a shipwreck. 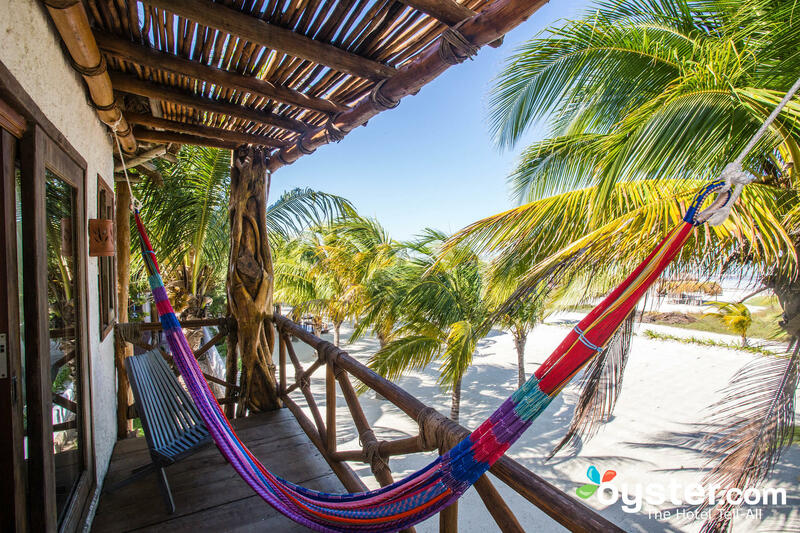 Off the north coast of Mexico's Yucatán Peninsula, Holbox Island (or Isla Holbox) is a secluded destination known for its ideal waters for kiteboard beginners. The boutique hotel CasaSandra (named for the founder, Sandra) provides visitors to the remote island with an unplugged upscale getaway characterized by personal artwork, music, good food, creative vibes, rustic rustic wood-and-thatch palapa style, and epic views out over the Mexican Caribbean. You can't just show up to Nikoi Island. 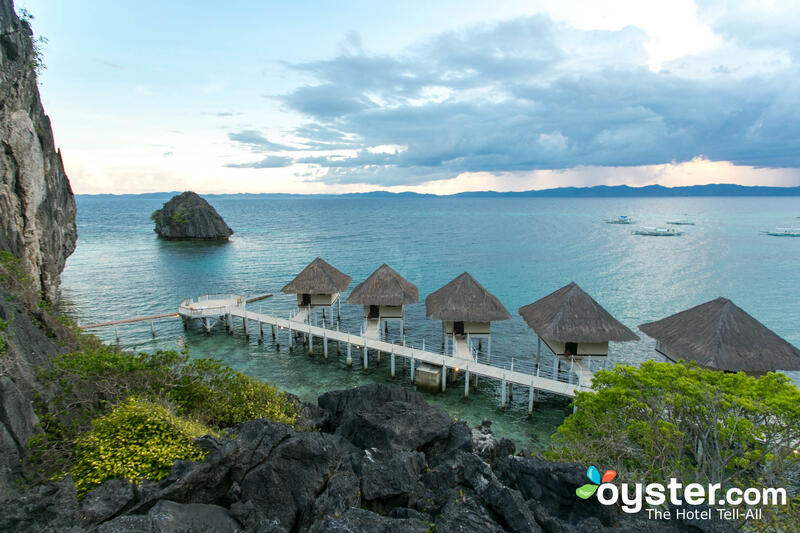 Instead, you have to be a guest (with a booked room) of this tiny private island. Really all to be found here is a laid-back resort (of the same name) -- where hotel guests can stay for a totally secluded getaway. Off the east coast of mainland Indonesia (which is, itself, a cluster of volcanic islands), and just fifty miles from Singapore, this destination is popular among couples seeking a romantic vacation. Water Island is the fourth and most recent main island in the USVI. It is just under 500 acres and has about 160 inhabitants. The island has a small number of restaurants but no stores, public transportation, or large hotels. If you want to get away, this is the place. 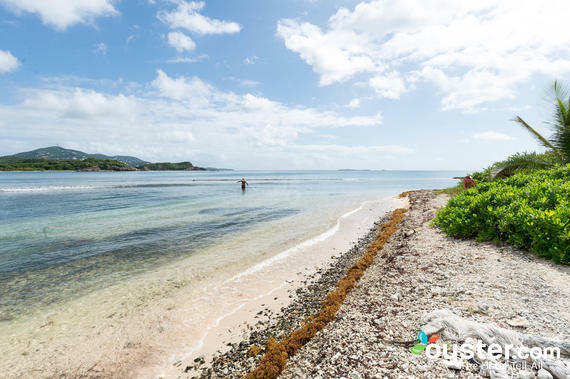 The Virgin Island Campgrounds are not located on the beach, but a small beach can be accessed down a woodsy nature trail (a 10-minute walk). 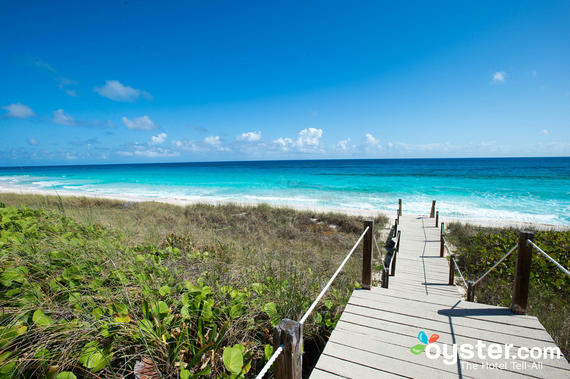 Honeymoon Beach, a popular, scenic beach, is also a 10-minute walk. Also known as "Coral Island" (hence the name of the resort that sits here), Koh He lies just off the southern shore of Panwa Cape. The beach here is stunning and the water is perfect for scuba diving and snorkeling -- making the tiny island a popular spot for day trippers visiting from Phuket. The island location does have its downsides: power is run from a generator and there are frequent power cuts, meaning there's no hot water, lights, air-conditioning, or Wi-Fi during that time. Reachable only by boat or seaplane, Little Palm Island is a private island where wild key deer roam -- and the same-named luxury resort can be found. It includes 30 luxurious suites, many with private oceanfront verandas. A favorite getaway for celebrities, Little Palm Island Resort provides a secluded place to unplug from the world (use of technology is discouraged) and experience a romantic vacation in a lush, tropical environment. 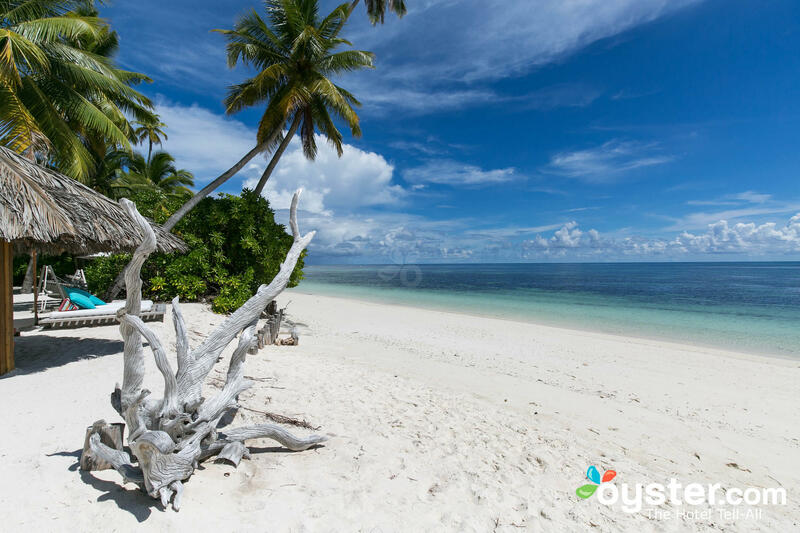 Desroches Island, a private island in the Seychelles reached via a 40-minute flight from Mahé island, is home to a beautiful five-pearl property. 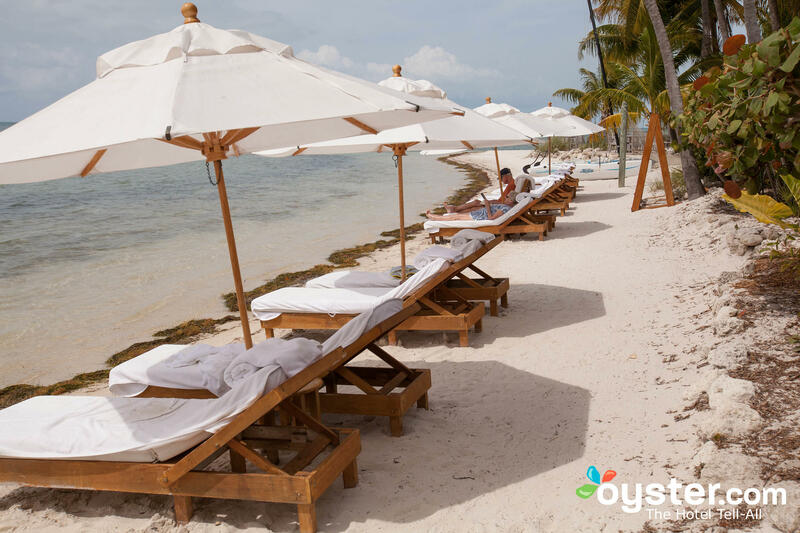 Gorgeous palm groves, tropical vegetation, and white-sand beaches surround, while a slew of on-site features includes a full-service spa, restaurant, bar, pool, and a large kids' club. Spacious suites and villas feature beach-chic decor and an array of amenities that include bikes and kayaks; villas have private infinity pools and full Miele kitchens. Mirihi Island is one of the smallest islands in all of the Maldives, and is only a 30-minute seaplane journey from Male. 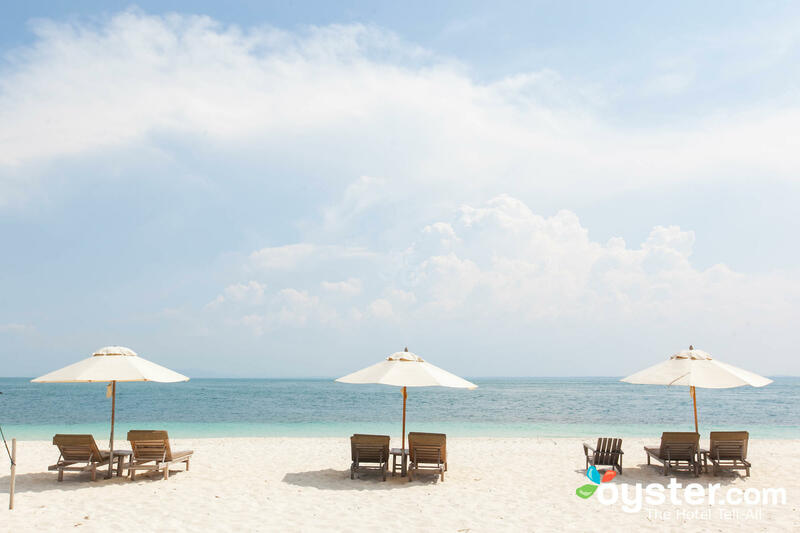 Still, most guests fly to a nearby resort (like Angaga or Conrad Maldives) and then jump on a 10-minute boat ride to Mirihi Island Resort, which is ideal for couples and small groups. A bonus for those interested in catching a glimpse of the world's largest fish, the island's location is privy to year-round whale shark sightings -- and some great dive spots.